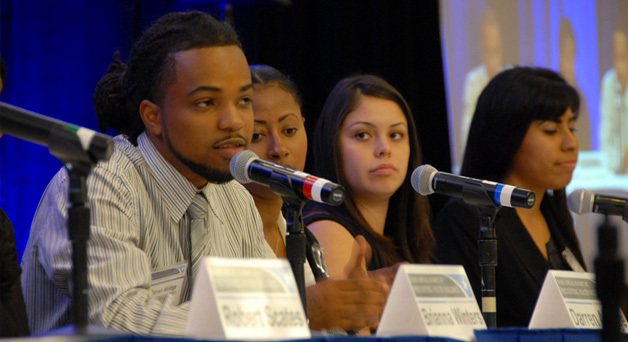 The National Forum on Youth Violence Prevention (Forum) was a network of communities and federal agencies that worked together from 2010-2016 to share information and build local capacity to prevent and reduce youth violence. The Forum brought together people from diverse professions and perspectives to learn from each other and build comprehensive solutions on the local and national levels. This federal interagency effort was a collaboration between the U.S. Department of Justice and its Office of Juvenile Justice and Delinquency Prevention and the Departments of Education as well as Health and Human Services, Housing and Urban Development, Labor, and the Office on National Drug Control Policy. Multidisciplinary partnerships are key to tackling this complex issue — police, educators, public health and other service providers, faith and community leaders, parents, and kids must all be at the table. Learn more about the Forum by reading its Collaboration Profile, reviewing its Logic Model, and reading the results of the Forum’s independent assessment.